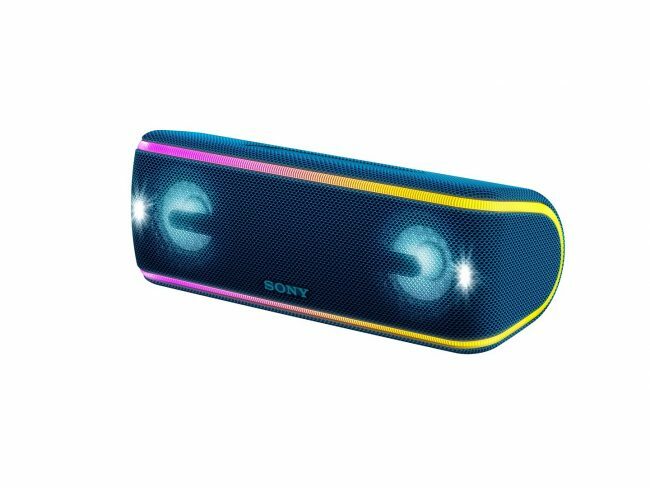 Sony India today launched the SRS-XB41, SRS-XB31, and SRS-XB21 EXTRA BASS wireless speakers. These speakers are ideal for party as alll are equipped with multi-colour line lights and flashing strobe lights with speaker lights. They are also waterproof and dust proof with an IP67 rating. Additionally, these speakers also have rustproof feature. These speakers are made of new fabric material design which is washable and comes in up to 4 colours. These EXTRA BASS speakers also come with new LIVE SOUND mode which makes the user feel as if they are in the middle of a music festival with singers performing live in the room. With the LIVE SOUND mode on, one can feel the sound spreading both vertically and horizontally. These speakers have a 24 hour battery life and upto 100 speakers can be connected to create Wireless Party Chain via Bluetooth. These speakers are enabled with ‘Party Booster’ feature which enhances every beat and gives the party an extra boost. It can be used like an instrument and can detect tapping from 5 different directions thanks to the built-in accelerometer that generates a sound and lighting reaction. SRS-XB41, SRS-XB31 and SRS-XB21 will be available across all Sony Center and major electronic stores in India.